In our government class, each student was required to participate in any branch of government from local such as working with your community representatives; state; working with your senator or an organization and federal; which you can entreat in a presidential campaign. The total number of students who participated was Twenty-one and each individual needed to complete at least Ten hours or more. 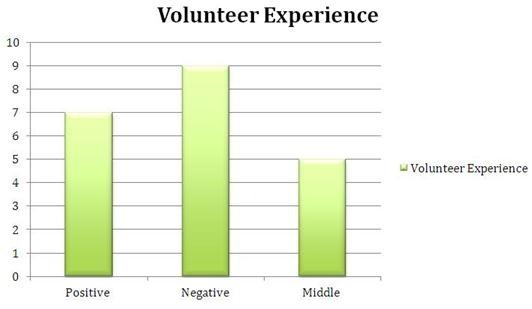 In the green graph, students who volunteered in making phone calls for a Presidential campaign as well for students volunteering in assembly member's district office stated that they had a negative experience. 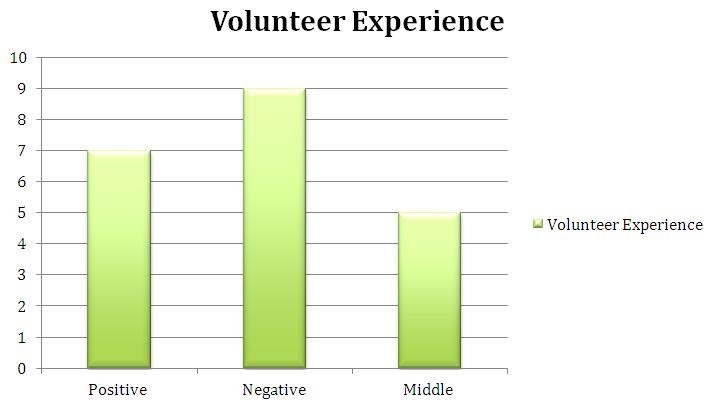 Our understanding on why nine students indicated in the graph had a negative experience varied from their understanding in how our government functions, as well on the task they needed to accomplish in there involvement. Now that there's a Presidential race in America, we believe all branches of government are advocating in becoming more involved in supporting a certain presidential candidate. One other factor could be that the students who were involved did not have a complete understanding of how government actually functions; because of that, this could explain why people had a negative overwhelming experience working with government. 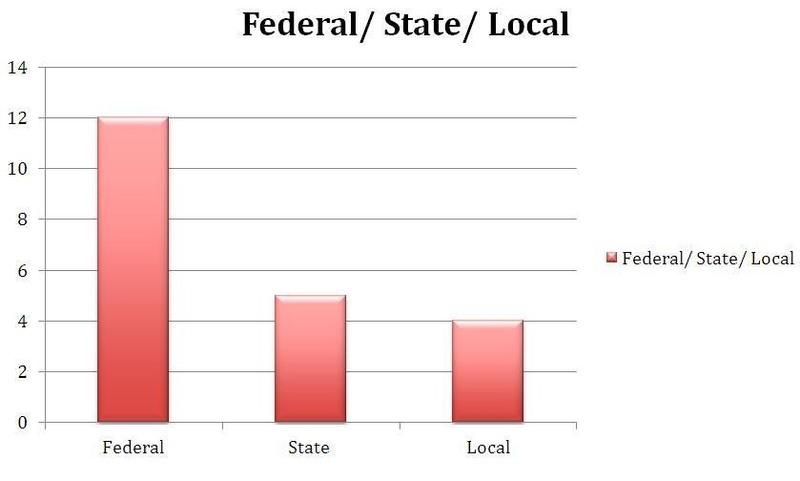 Based on the information on the survey taken by students in the government class; the red graph indicates were each student was involved in one of the three branches of government. The majority were involved in the federal branch. We understood that the more closely you get involved in higher levels of government; they become more confounding in how things are managed and function. Students who were involved in state and local positions seemed to have had an easier experience because these branches impact their communities. This understanding we found made us more aware in how we could significantly affect our ways of living; making our communities a better way of living for a greater future prosperous future. Become involved, it does not matter what branch, but let your message be heard. I think it's great to have this information here because then other people kind of get an idea of what actual students are doing to get involved with their government and maybe it will inspire others to get involved as well.